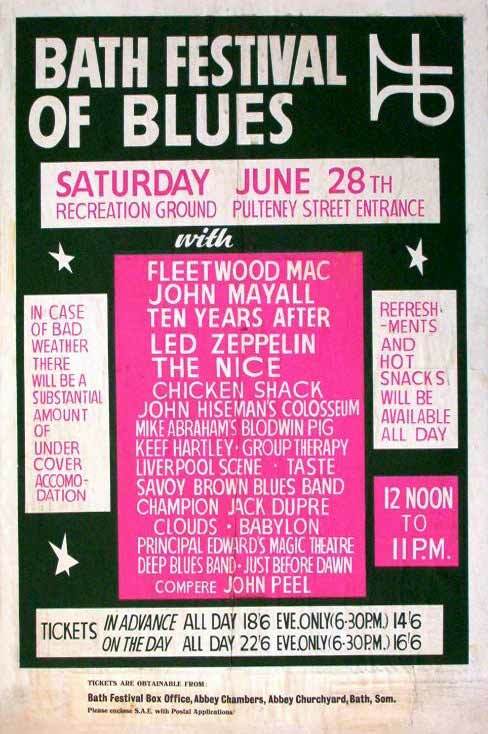 By 1969 the US had had several major rock festivals. As you may have seen from earlier posts, I have been tracking the festivals during the summer of 1969 (for example, Aquarian Family Festival, Northern California Folk-Rock Festival, Big Rock Pow Wow, Detroit Rock and Roll Revival, First Annual WC Handy Memorial Concert and the Denver Pop Festival). 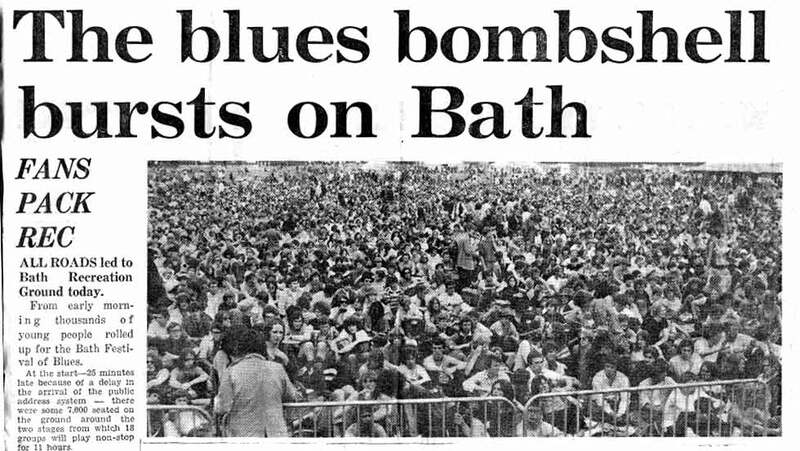 Today I will briefly write about the Bath Festival of Blues in Bath, England. Surprisingly, England had not yet had a rock festival. 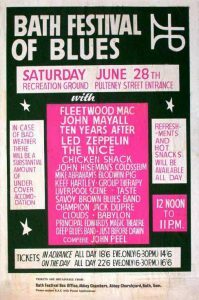 Music festivals themselves were not new, but the idea of presenting many rock groups (in the broadest sense of that genre) at once had not happened. Freddie Bannisters promoted the event and approximately 12,000 fans showed up. That number seems small by many other festival numbers, but unlike many other festivals, Bannisters did not lose money and was able to promote another much larger festival the following year. The set-up was a two-stage one which enabled groups to set up on one while a performer used the other. “On previous occasions I had traveled to gigs on my scooter or on the bus, but this time it would be in style to what had been advertised as ‘the Big One’. We drove down during the morning meeting up with Jimmy, Robert, and John Paul in the backstage bar. It was pretty unreal for me, rubbing shoulders with some of the great musicians I had only read about like: Fleetwood Mac, Ten Years After and the man who launched so many great names from his Bluesbreakers, Mr. John Mayall. 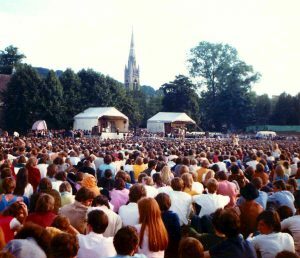 “The Recreation Ground and Pavilion was in a lovely setting in the centre of Bath and on a warm summer’s afternoon I couldn’t think of anywhere I would rather be, along with 12,000 other people. I had taken a camera with me, so well before Zeppelin was to go on I made my way out into the crowd and towards the front of the stage. Finding a nice patch of grass, I waited patiently for the emergence of Led Zeppelin. When the band took to the stage, the audience surged past me, leaving me only enough time to take three photos before I was swallowed up by ‘the ocean’. As the show finished and the crowd moved back, I was still on the floor, looking like one of those hedgehogs you see squashed on the road.